Be the first to share your favorite memory, photo or story of Laura Gayle. This memorial page is dedicated for family, friends and future generations to celebrate the life of their loved one. Laura Gayle Evans Cooper, long-time resident of Barnwell, passed away on Sunday, December 2, 2018 at Augusta University Medical Center due to a severe hemorrhagic stroke. Gayle’s life and legacy will be honored at a Celebration of Life on Thursday, December 6, at the Barnwell Church of Christ, with a celebration in singing at 5 pm, followed by a potluck fellowship dinner and party. Curt Harbuck, dear family friend and brother in Christ, will officiate the occasion. The family wishes everyone attending to wear appropriate bright and festive clothing, such as Christmas sweaters, Warhorse gear, and hats, bring a favorite dish to share, and come ready to celebrate and honor Gayle’s magnificent life. The family will be receiving visitors at the Cooper residence throughout the week. Laura Gayle was born to Joel Euel Evans and Edeline Beatrice Wilcutt Evans, on December 25, 1945 in her rural home near Berry, Alabama. 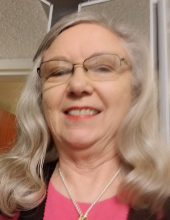 As a child she learned the value of hard work and education, and she earned a MS in English education at University of West Alabama (formerly Livingston University), where she met Jack. She and Jack married in 1968 and devoted their life to serving God and others. After graduation from White’s Ferry Road School of Biblical Studies, Gayle served alongside Jack as he ministered in several churches. She retired from teaching English at Barnwell High School, where she was loved and admired by faculty, staff, and students. Gayle’s legacy is a life of loving, praising and worshipping God in all that she did. She was a true soul-mate and help meet for Jack in all his ministry and volunteer endeavors. She was a devoted mother for her children, and beloved “Neena” for all her grandchildren. Many of her students were welcomed into her home and family as adoptive family members, and her home and table were always open. She was passionate about teaching, and she loved all her students as her own. She took delight in surprising her students by dressing for any special occasion and for spirit days. She loved wearing bright, festive colors. She was an avid football fan, often attending Barnwell Warhorse football games, and supported all “her kids” who played for any college. She was a wholehearted Alabama football fan, who also claimed USC and Clemson as long as they weren’t playing the TIDE. She enjoyed singing, gardening, cooking and baking, and used these talents to encourage and uplift others. She is well known for bringing homemade bread and potted plants to friends and neighbors during times of bereavement or illness, or just as an encouragement. Gayle was preceded in death by 2 grandchildren- Rose Cooper and Anakin Timothy Cooper. Gayle is survived by her beloved husband of 50 years, Jack Eugene Cooper; along with their children, LoAna Cooper Benton, Adam Paul Cooper (Alissa), Jonathan Cooper (Isabella); She had 3 granddaughters- LauraBeth Benton Benito (Jacob), Alora Cooper, Aralyn Cooper and 3 grandsons- Jacob Benton, Aidan Cooper, and Axtan Cooper. She was also survived by 3 brothers- Kenneth Evans, Keith Evans, and Karl Evans; and many dearly loved nieces, nephews, grand-nieces and grand-nephews. To send flowers or a remembrance gift to the family of Laura Gayle Evans Cooper, please visit our Tribute Store. "Email Address" would like to share the life celebration of Laura Gayle Evans Cooper. Click on the "link" to go to share a favorite memory or leave a condolence message for the family.